This is the rating you will be working towards if you want to fly helicopters as a career. 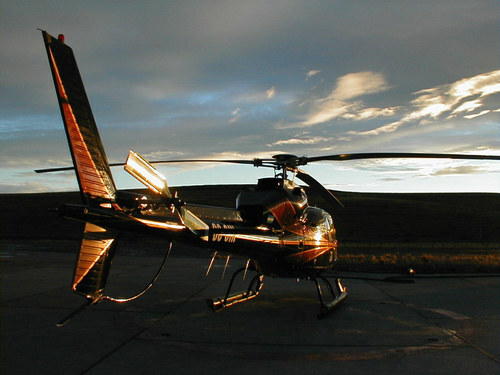 SRT Helicopters offers some of the best commercial training available today. You will get to experience many different flight, weather, terrain and airport environments with some of the most knowledgeable and skilled pilots in the business. Training with SRT Helicopters will give you all the knowledge and skills you need to be a safe and highly adaptable commercial helicopter pilot. Training can be tailored to give you experience in advanced commercial operations such as hoist operations, aerial photography, emergency medical services etc. 100 Hours in Powered Aircraft of which 50 hours must be in Helicopters. 100 Hours Pilot in Command Total Time of which 35 hours are required in Helicopters along with 10 Hours of Cross-Country Time. • 10 Hours Dual Instrument Training. • 2 Hrs: 1 cross-country Day VFR Dual Flight. • 2 Hrs: 1 cross-country Night VFR Dual Flight. • 1 Cross-Country Flight > 50 NM. • 5 Hours Night VFR. 3 Hours in preparation for the practical exam. Practical Exam consists of oral/flight.